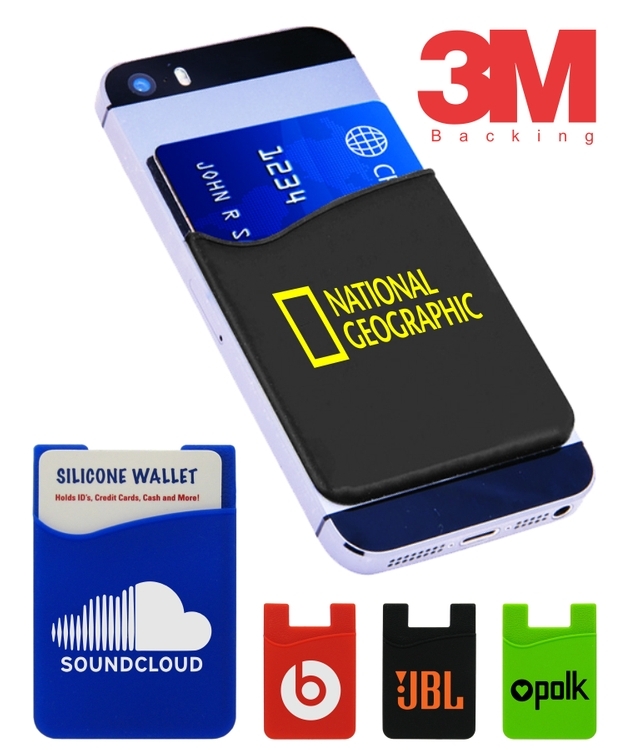 Union printed this silicon wallet is Sleek and compact and attaches to the back of your cell phone or any other item for quick and easy access to ID's, Credit/Debit Cards, Money and More. 3M 300LSE Adhesive tape keeps it secure and in place. Peels off clean with no leftover residue. Available in Black, Blue, Green, and Red. Decorated in our Union Shop - Union Bug Available at No Charge! • Imprint Area: 1.5" x 1.5"